I received a very nice Tweet from Phil Handford, MD of Grasshopper Rock Wines, regarding my Sam Neill interview. As it turns out, Phil is a neighbour of Sam’s. So good was his comment, I offered him the option to participate. Here’s what our fine fellow had to say . . . . . . .
Winegrower, Managing Director of Grasshopper Rock. 2-All Blacks or England to win the World Cup? ABs of course – to say anything else would be a hanging offence. 3-How did you get into wine? In 2000 I tried a bottle of Pinot Noir from a young vineyard called Dry Gully. It was so good I decided that if we did it right we could produce some of the best Pinot in the world. So we bought the land next door and planted vines in 2003. 4-Outside of Pinot, what is your favourite grape? Or is it Pinot all the way? It’s Pinot all the way as that’s all we grow, but Riesling is a clear second (judging by my cellar) and Otago does Riesling well too. The best white in Central Otago. 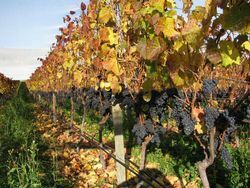 5-What makes Pinot so good to grow in Otago? Long answer: Central Otago seems to be in that sweet spot where there is barely enough heat to fully ripen grapes but with careful site selection and viticulture there is enough heat to get perfect balance in ripe fruit. The hot days and particularly the cold nights slows ripening down and allows complex flavour and aroma development. The dry semi-arid climate means autumn is remarkably dry which reduces disease and pressure to harvest at less that ideal ripeness. 6-What defines your wines from your neighbours, or do you all privately compete? Everyone wants to produce great wine but with Pinot your vineyard limits the potential of what you can achieve in terms of achieving balance in sugar ripeness and tannin ripeness in the grapes. 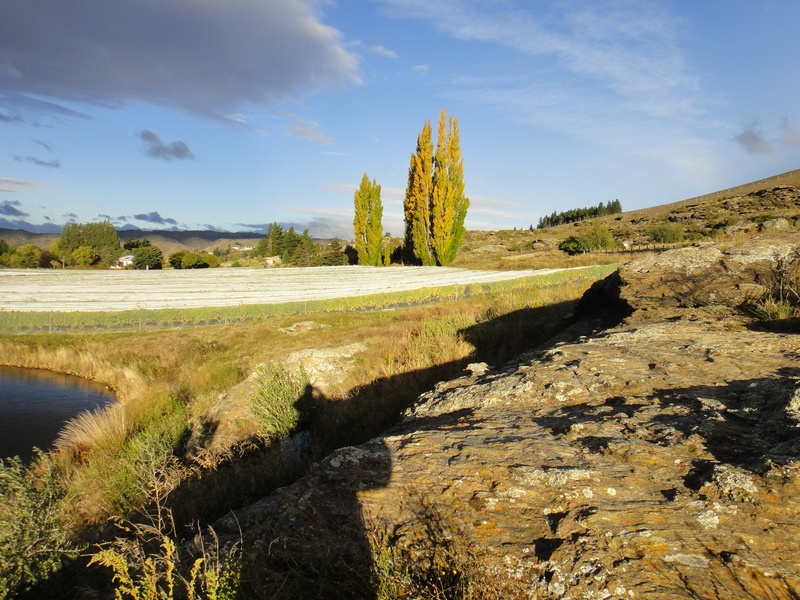 We are in the Alexandra sub-region which is the southernmost, coldest and driest winegrowing part of Central Otago and produces a more textural and refined style of Pinot Noir. The Pinots from our close neighbours on the same slope are remarkably similar. Sam Neill’s Two Paddocks Last Chance vineyard is on the same hill near us. The Last Chance 2002 Pinot was stunning and convinced me we had a great site at Grasshopper Rock. I think these vineyards are too young to be defining clear differences between neighbours – ask us in another 10 years. I think everyone is more excited about the wine being produced in Central Otago to bother about competing. 7-What is the most challenging aspect for you as a winemaker? With out a doubt it is actually trying to grow grapes in the most marginal climate in the world – we are right on the edge but always trying to stay on the right side of the edge. We can get a frost in any month. We had a light frost in Jan 2011 – mid-summer! Flowering and fruit set are high risk times – bad weather and our yield is slashed. Then we get barely enough heat to ripen grapes but the beauty is they ripen slowly in a dry climate. 8-How do your wines reflect you? I like to think our Pinot reflects our obsession and attention to detail. There is a clear focus at the vineyard on doing everything by hand and never compromising quality. I think it shows in our wine. 9-What is your favourite wine? No apologies – it is our own, but only because it is Pinot Noir and the evolution of one vineyard’s wine is a study in itself. 10-Do you have a country of preference? 11-How do you enjoy wine? With food, on it’s own, social etc? I usually drink our wine before food and sometimes with food. The most memorable wines are always with a great food match and good company. 12-What influences your wine choices? Price, occasion, season etc. I follow winegrowers I like. I drink to discover new producers of a grape variety I like. Or a new wine recommended by someone. 13-Champagne. Overpriced in the current climate? I have never been a fan of bubbly wine so you are asking the wrong person. 14-Are boutique wineries the way forward? We will always need a mix of big and small. 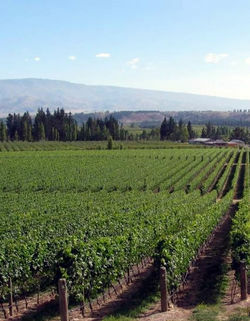 Boutique wineries can’t produce the cheap wines and volumes which are grown in massive vineyards and processed in huge wineries. 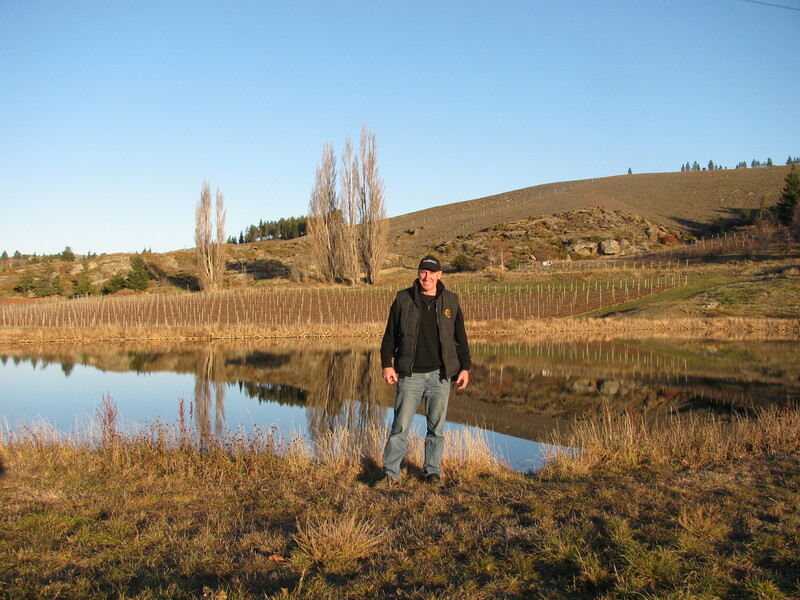 The boutique wineries, which are all of Central Otago, are the really exciting wines where there is a real connection with the vineyard and the people. I think as people learn more about wine they graduate towards the boutique single vineyard wineries. 15-Do you think retailers do enough to educate the public on wine? I don’t mean healthwise. I am sure all retailers would like to do more. It does seem the more retailers educate the more they sell – that’s sales 101. 16-What do you think the wine industry needs to improve on? 17-Which wines, countries or regions do you think are worth keeping an eye on for the future? There are so many new winegrowing regions coming to light and existing regions are progressing fast. You need eyes in the back of you head for this one. I’ve recently had some really interesting wines from Portugal. 18-What tips do you have to anyone looking at getting into the wine trade? Do it because you love the story of wine. We are all in this together. 19-What is the best thing, for you, about wine? It is the whole process from the vineyard site, the vines, the grapes to winemaking that produce this amazingly complex product called wine that never stops evolving even when it is in the bottle or the glass. It sounds geeky but to be able to influence this as a winegrower is very exciting. 20-How is the new vintage shaping up? 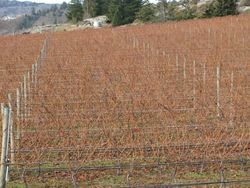 We harvested our 2011 vintage back in early April 2011. We are very pleased with the quality of grapes we picked. It was our best spring since 2006 so it all looks good at this stage. Release will be 2013. We are currently pruning vines. 21-In wine terminology, how would you describe yourself? For more information, why not pay a visit to the Grasshopper Rock website. Some great incite into Central Otago as a growing region. Not too sure about your answer to number 2. Surely Tonga have a shout. Looking forward to sampling your wines. To read my review please click on the link below. To purchase Phil’s wine in the UK please click on the link below. Pingback: Grasshopper Rock Pinot Noir 2009 « Magics Wine Guide and Reviews for Newbies. This entry was posted on June 23, 2011 by The Oenophiliac in Interviews..